South Africa is known to some as “A World in One Country,” a land of contrasts, history, beautiful landscapes, and incredible wildlife. 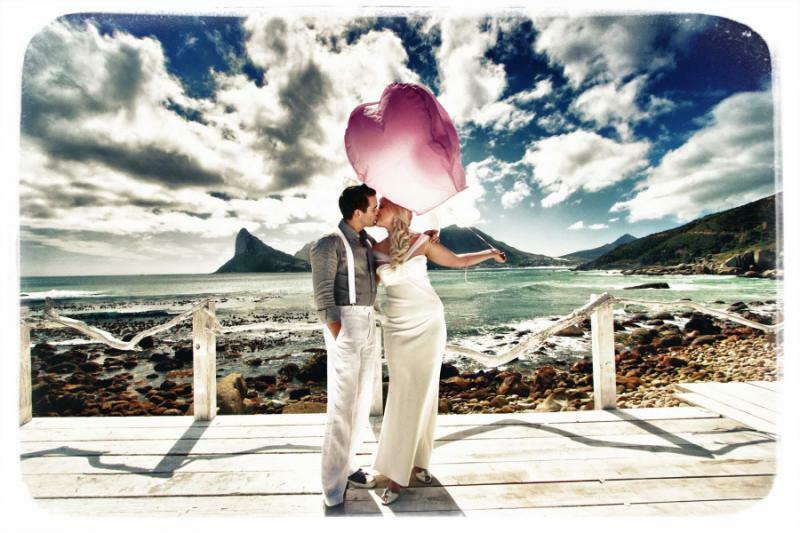 This South Africa romantic getaway explores the many facets of Cape Town, Robben Island, the townships, the peninsula, Overberg and the splendid wine country. 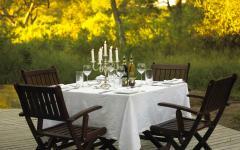 You will then jet off to the Lowveld, where thrilling encounters with the Big Five and other wildlife await you. 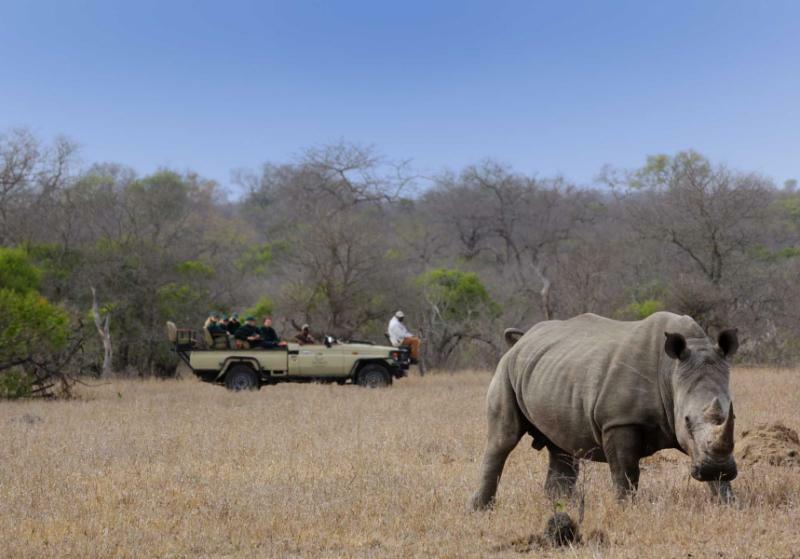 You will get up close and personal with elephants, lions, buffalo, rhinoceros and the region’s famous leopards. 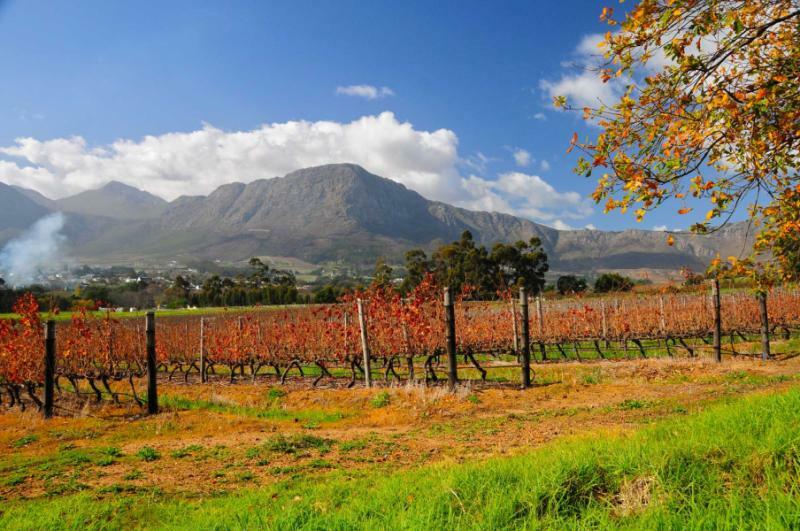 Begin the journey in the picturesque Franschhoek Valley, where a centuries-old winemaking tradition is paired with a gastronomic reputation par excellence. 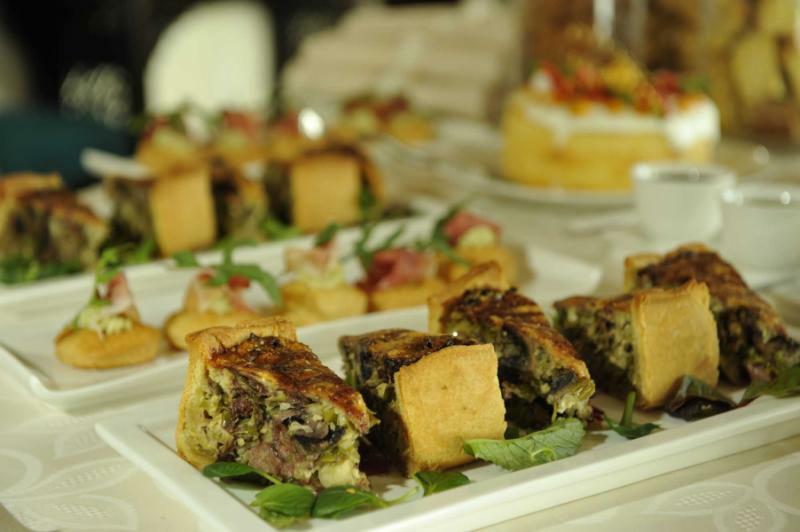 From the world-renowned, opulent and extravagant La Residence hotel, you are taken on wine tasting tours throughout the wine country that combines stunning scenery with world-class varietals and vintages, not to mention the cuisine! 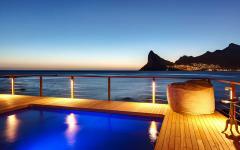 Next, move to The Cape Grace hotel in Cape Town’s bustling Victoria & Alfred Waterfront district. 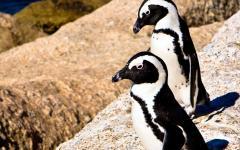 From here you will explore the city and its environs over six days, taking privately guided tours to the peninsula, whale-watching in Hermanus, discovering the museum on the infamous Robben Island, enjoying a township tour, and of course a visit to the top of Table Mountain. 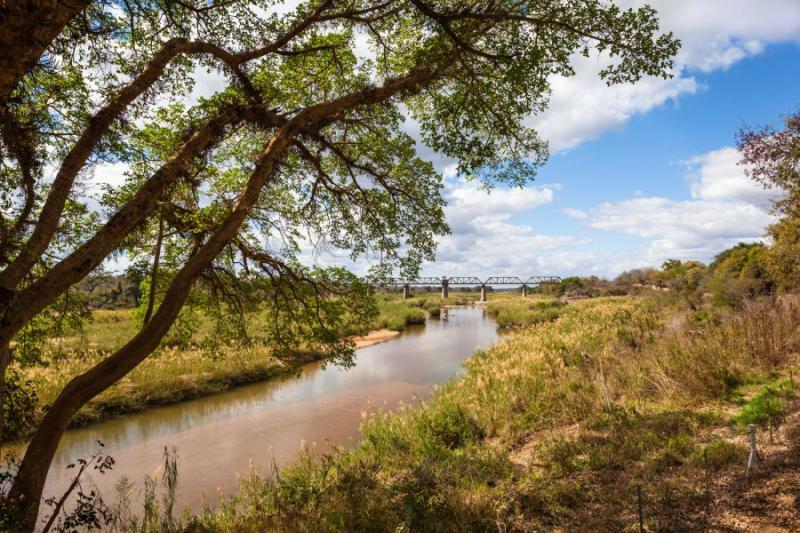 Next, you fly north to Londolozi and Tintswalo, where premier Big Five wildlife encounters are combined with a luxurious South Africa safari experience. Londolozi is in the southern reaches of the Kruger National Park region and is as well known for the incredible sumptuousness of the lodge as it is for its fantastic wildlife experiences, most notably its leopards, which are often encountered here. 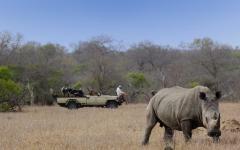 Tintswalo is farther north in the Kruger area and is in a prime habitat for elephants and rhinoceros. 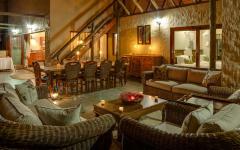 Expect to enjoy the wild rawness of Africa combined with a superior lodge and service experience. 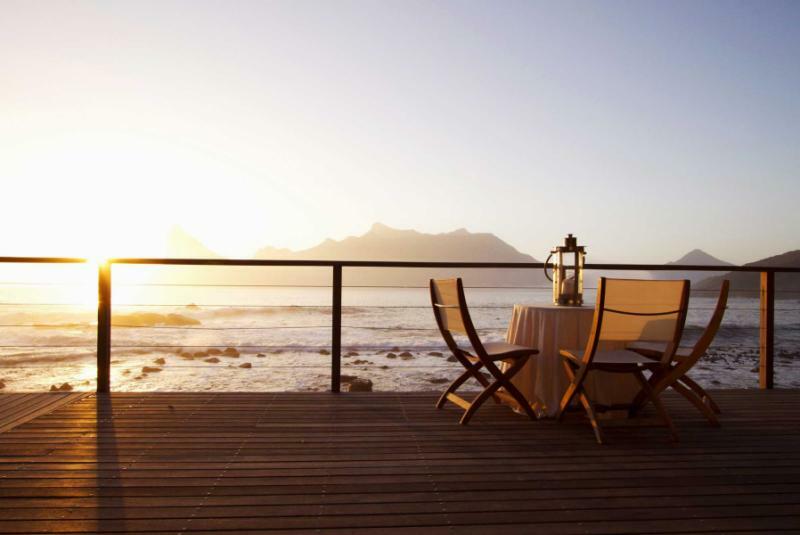 Perfect as an anniversary or honeymoon adventure, this itinerary can easily be combined with another safari destination or an island getaway to Mozambique or Mauritius. 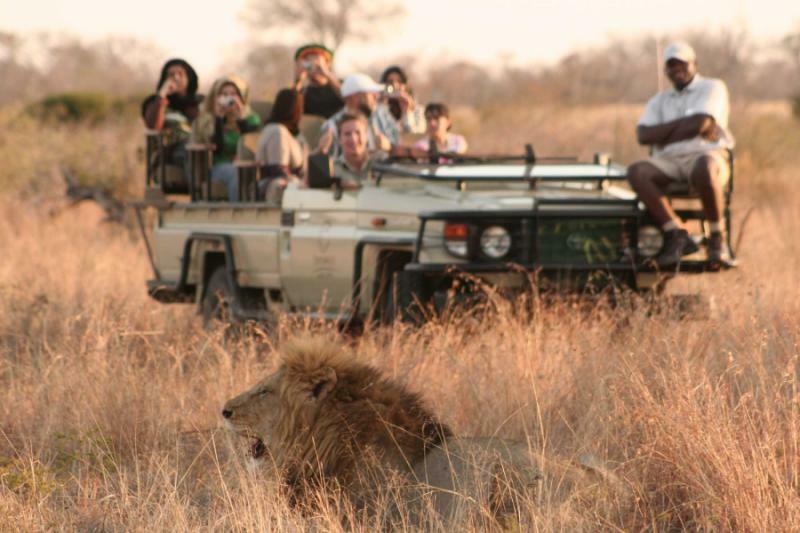 For safaris, check out the South Africa tour operators page for additional ideas if you'd like to extend your safari experience. On arrival at Cape Town International Airport, you will be met by a representative and be driven the scenic 80 kilometer route to La Residence in the picturesque Franschhoek Valley. Literally meaning “French Corner,” Franschhoek has a long history of wine making, a tradition that was started by the French Huguenots centuries ago. You have time to settle into your suite and then to spend the afternoon exploring this quaint town and environs. After breakfast, you will set off on a privately chauffeured tour of the wine estates for tastings of their finest vintages on offer. 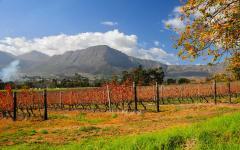 Centered in Stellenbosch, the second-oldest town in South Africa, there are literally dozens of wineries to choose from in the area. The countryside is nothing short of spectacular, with mountains all around, reminiscent of Provence in the south of France, albeit with an African twist! Stopping to enjoy lunch at La Petit Ferme along the way, you can indulge in fantastic cuisine while taking in the splendid scenery. Returning to La Residence in the late afternoon, you will have time to relax and freshen up before being driven to The Tasting Room in Franschhoek for yet another epicurean indulgence! 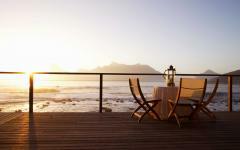 After a leisurely breakfast, depart La Residence in the mid-morning for the drive to Cape Town. 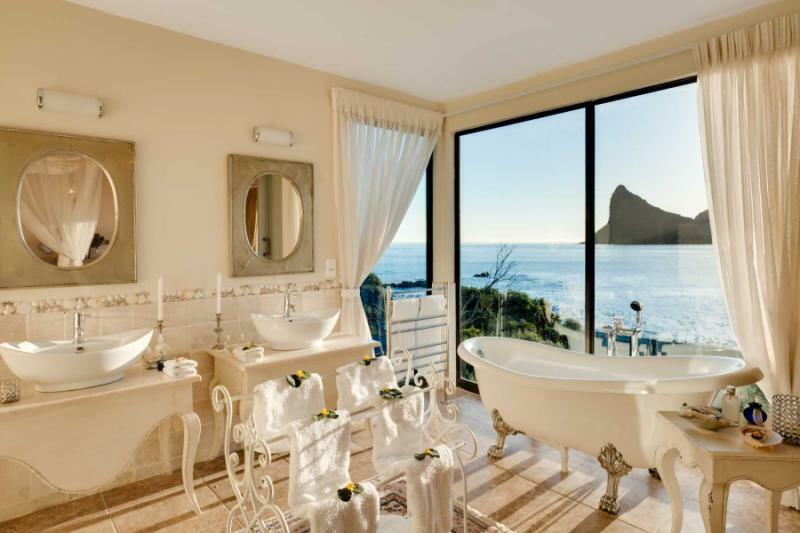 Arriving at the Cape Grace, you find a grand and elegant hotel overlooking the yacht basin in the heart of the bustling Victoria & Alfred Waterfront. With the rest of the day at leisure, you are free to wander through the many colorful shops, restaurants and bars that overlook the busy working harbor and to soak up the unique atmosphere of this city at the foot of the iconic Table Mountain which looms above you. After breakfast, your guide will meet you for your peninsula tour. The drive takes you past the “Cape Town Riviera” of Camp’s Bay with its beautiful beach and promenade lined with cafes, along the spectacular Chapman’s Peak Drive, past quaint little seaside villages and into the rugged beauty of Cape Point Nature Reserve. The landscape is dominated by fynbos, the unique flora that makes up the Cape Floral Kingdom. 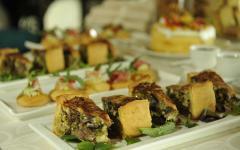 Fynbos is found nowhere else in the world. Keep an eye out for antelope and birds, and beware of the baboons that slyly gaze in your direction! Take a walk along the cliff paths to the lighthouse at Cape Point, and imagine you can see the Indian and Atlantic Oceans mingling in the deep waters far below. 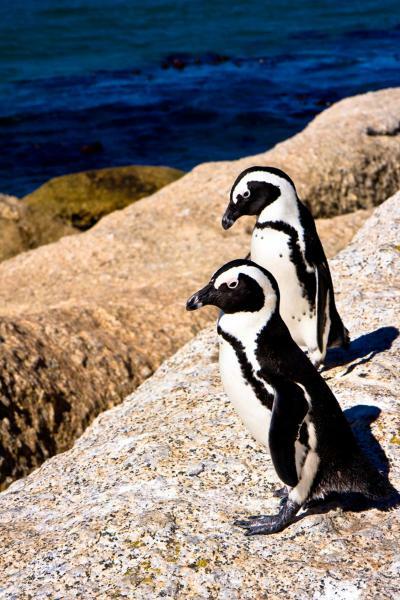 Visit Boulders Beach to see the African penguin colony, one of only two in the country, before continuing to the naval village of Simon’s Town for lunch overlooking the harbor. Explore the nooks and crannies of the town, steeped in seafaring history, before making your leisurely way back to Cape Town. Passing by the tiny fishing harbor at Kalk Bay with its colorful boats and fishermen selling their catch, you will continue along Muizenberg, where surfers ride the waves along the pristine beach. If there is time, the tour includes a visit to Kirstenbosch Botanical Gardens, where incredibly beautiful plants, trees and flowers are on display in a spectacular setting on the slopes of the mountain. After breakfast, your guides collect you for your tour to the townships. These sprawling informal settlements are shanty towns where a great many South Africans live. Despite the crowded and sometimes appalling conditions that these people live in, you are welcomed with bright smiles to visit their humble homes and experience their close-knit and proud communities. Visit a traditional healer in Langa Township, and learn how he uses herbs to cure various ailments, and how the role of the traditional healer fits into African society in a modern world. Next, you visit New Rest in Gugulethu, where you have the opportunity to interactively engage with the residents of this township, and discover more about their lives in this chronically poor but vibrant community. The New Rest Crèche stands as an example of how tourism in these poverty-stricken areas can be a benefit; it was built with funds donated by visitors. The crèche is now a colorful haven for a multitude of children from the township. Visit a local shebeen (pub), where the traditional African umqombothi maize beer is served, usually in a metal container that is passed from hand to hand. Feel the lively atmosphere raise everyone’s spirits, and hear the conversations and laughter around you over the loud Kwaito music. Continue the tour of the township with a visit to the cemetery where funerals were used as a cover for political gatherings forbidden by the Apartheid government. Meat Street near the taxi rank is where the inhabitants buy freshly-grilled meat on their way home, and in the atmosphere of a bustling market, you are welcomed with big smiles and kind enquiries as to your health, very much like being in a remote African village! Finish the tour with a visit the Sivuyile Technical College, where Cape Town Tourism has opened an information center detailing the history of the surrounding townships, and where locally made arts and crafts are on display. After lunch at Marco’s African Restaurant in the city, you will make your way to the Nelson Mandela Gateway where boats depart for Robben Island. Before you board the boat, take some time to examine the various multimedia displays that are housed within the building. These displays will give you a better understanding of what you are about to experience. 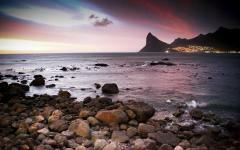 Cruise out into the waters of Table Bay, bound for the notorious prison. 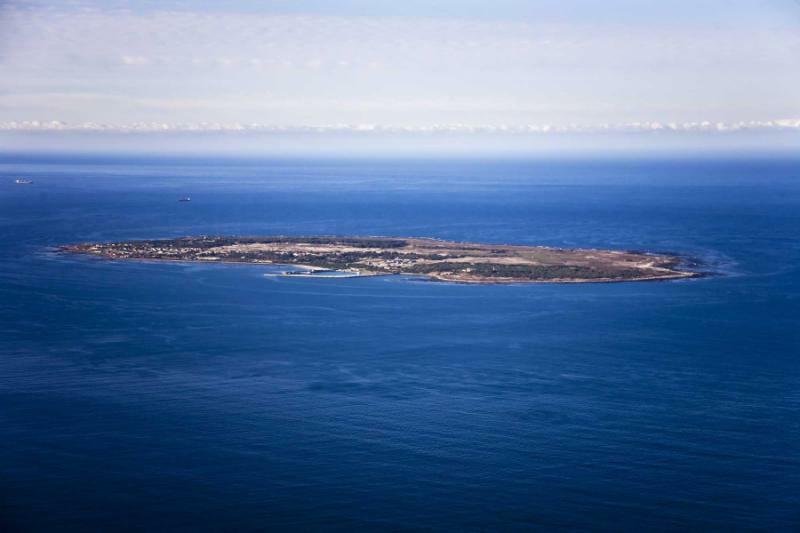 Former inmates of the penitentiary are there to guide you through this World Heritage Site, and these are the last people with first-hand memories of life on the island. Listen to their tales, sometimes harrowing, sometimes humorous and always edged with a gentle humanity that these prison walls could not take away from them. Visiting Nelson Mandela’s cell, where the great man spent 18 years and emerged without malice towards his captors, you will not fail to be moved by his enormous capacity for forgiveness and reconciliation. Return to the waterfront in the late afternoon, and it is a short walk back to the Cape Grace Hotel, or you can be collected and driven there if you choose. 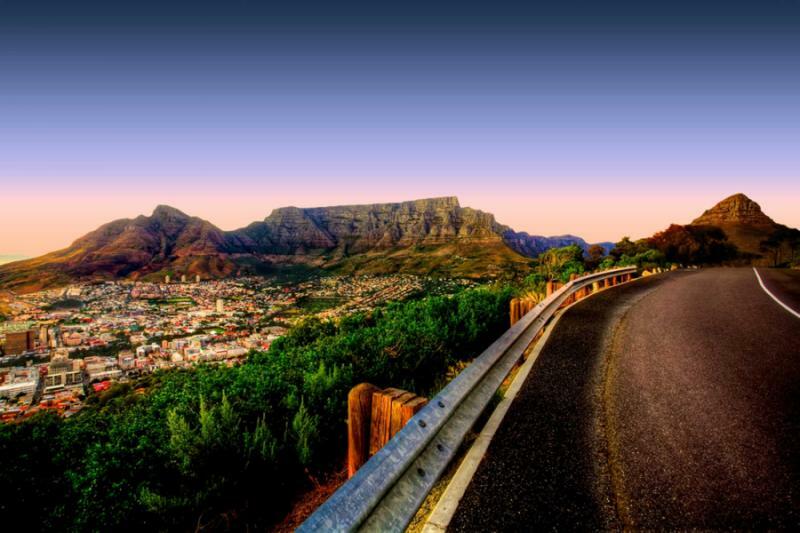 Spend a day exploring and experiencing Cape Town at your own pace; whether you wish to go shopping or visit one of the spectacular beaches of the western seaboard, you will find the city to be as welcoming as it is beautiful. After breakfast at the hotel, set off with your guide for a scenic journey along the periphery of False Bay to the quaint town of Hermanus. 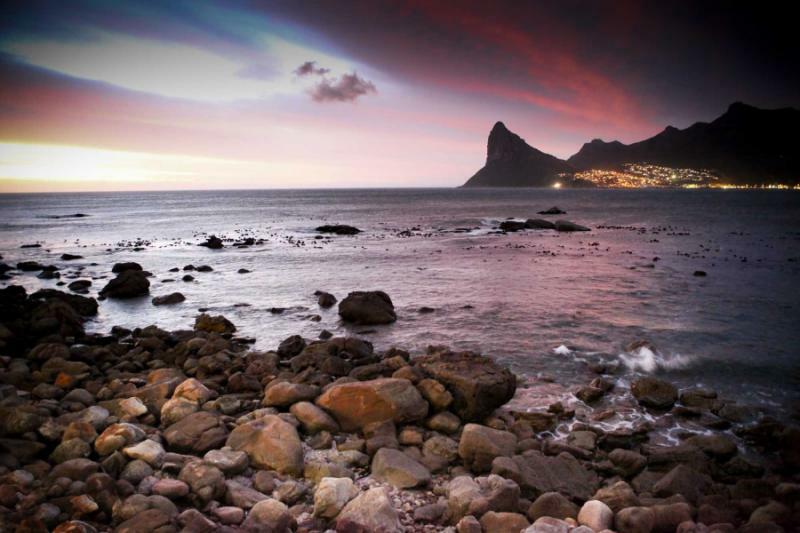 Spread along the rocky cliffs of Walker Bay, the town is known as one of the best land-based whale watching spots in the world. 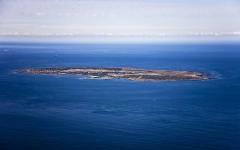 Between June and December, Southern right whales come to these waters to calve and raise their young. By taking a walk along the cliffside trail or joining a whale-watching boat tour, you are sometimes able to see dozens of these leviathans as they frolic, tail-stand, lobtail, and breach out of the water! 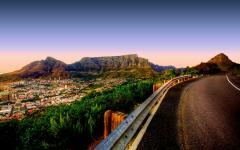 Begin the day by taking the cable car to the top of Table Mountain. 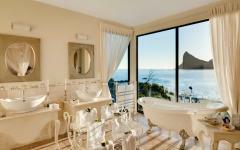 A network of paths lead to a succession of viewpoints where you can take in breathtaking views over the city and ocean to Robben Island in the distance, the beaches of Camps Bay and Clifton, and the spread of the townships and suburbs leading to the dramatic mountains of the wine country in the distance. Next you will visit the Malay Quarter of town for a delicious traditional curry lunch, after which you will visit the Streetwires studio in Bo-Kaap. This is a workshop for artisans making beaded artworks, and includes a tour of the studio with various creations on display. Next, you will drive to the Sibanye Art Studio in the township of Khayelitsha. A selection of excellent artists work from here, some who have exhibited internationally. The work includes litho cuts, large format canvas, and sculpture. On the way back to town, you will pass by some informal craft markets to get a perspective on the various craft styles that are popular here, and then return to the hotel by the late afternoon. 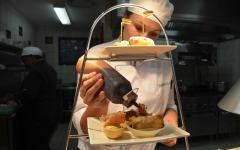 Your evening is at leisure to enjoy one of any of the great restaurants in the vicinity of the waterfront. 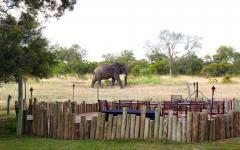 Depart Cape Town in the morning for your flight to Londolozi, which has a stopover to change aircrafts in Johannesburg. 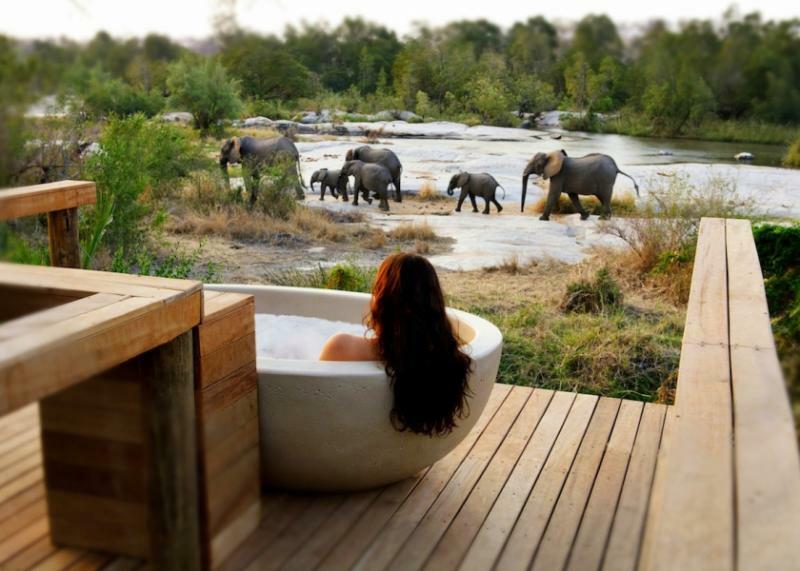 Londolozi is located in the Sabi Sands region of Kruger National Park, which when combined, create an area of over two million hectares of unspoiled wilderness where a multitude of animals freely roam. The lodge itself is the epitome of style, sophistication and luxury, which is astonishing considering its remote and wild location. 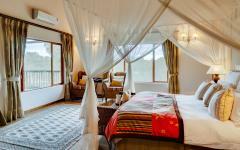 Settle into your exquisite suite, admire the view, and prepare for the excitement of the afternoon’s game drive. With a vast landscape containing a multitude of habitats to explore, you will find yourself immersed in a freedom quite unlike any other. Enormous vistas open out before you, dwarfing even the elephant herds that march across them, before you find yourself deep in a forest, keenly searching for any sign of the leopards that stalk the thickets in search of prey. Riverbeds attract thirsty animals, and your guide expertly interprets and explains the footprints and pug-marks in the sand. Finally, as the sun sinks into the horizon, he selects a scenic spot for you to stretch your legs and produces a hamper packed with ice cold drinks and snacks. 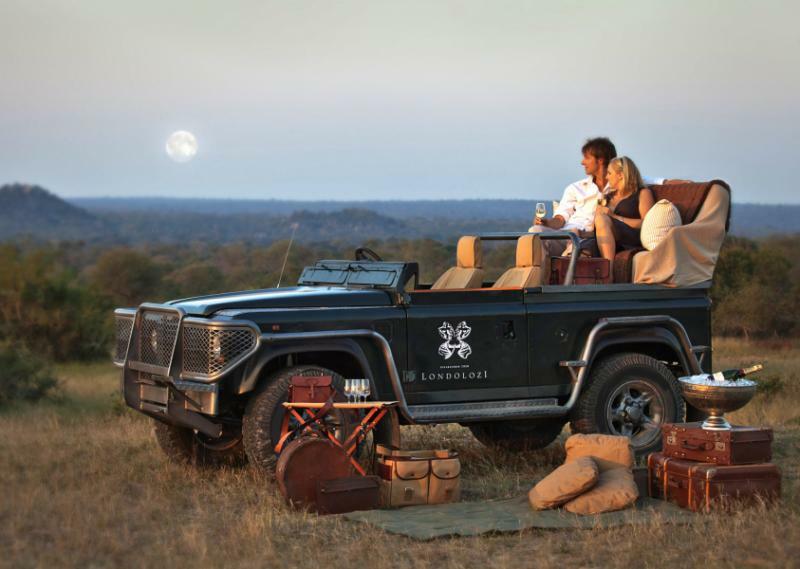 Sipping on your favorite beverage as the sky lights up with color, you toast this magical moment in the African bush. Returning to the lodge in the dusk, your guide uses a spotlight to pick out the eyes of nocturnal animals as they emerge into the night to hunt and forage. Bush babies leap incredible distances through the trees, while the sinuous shapes of genets weave among the branches. 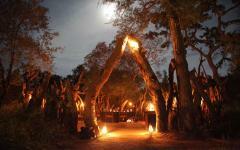 Arriving back at the lodge, you find it glowing with lanterns and welcoming firelight. A table has been set for you on the terrace, and crystal and silverware gleam against crisp white linen. 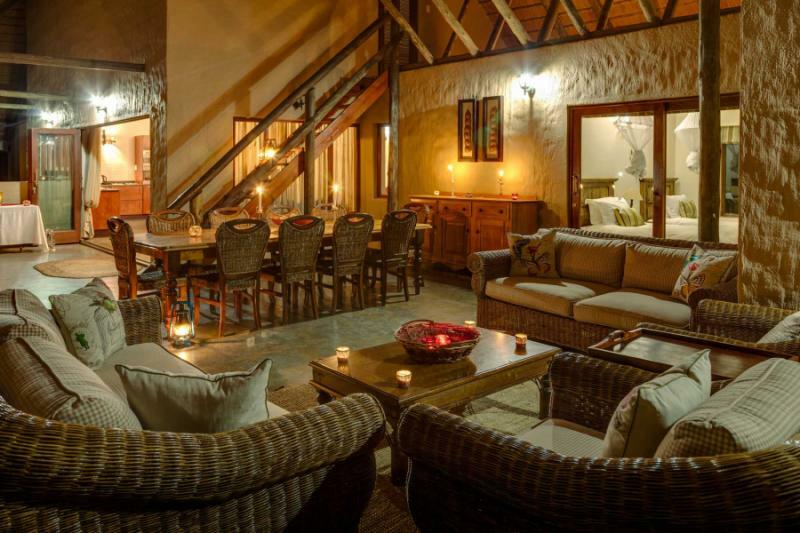 A sumptuous meal is a fitting end to your first day in the wilds, and you are serenaded by the sounds of the African night outside. Begin each day at dawn, when the air is refreshingly cool as you stand on your porch sipping a freshly brewed cup of coffee. After a quick breakfast, you set off in the company of your expert guide to see what encounters nature has in store for you. 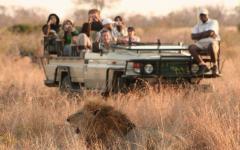 The Big Five are regularly seen, along with a plethora of other animals and birds. 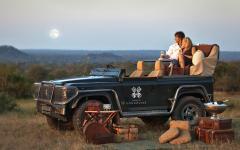 Londolozi has long been famous for its leopards. These regal cats have been the subject of many studies and books, and they are relaxed to the point of disdain as safari-goers follow them while they go about their daily lives. Returning to the lodge in the mid morning, you enjoy a generous brunch on the terrace before deciding on what to do for the midday hours. 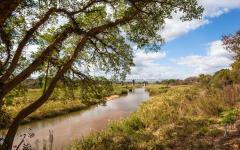 A guided walk is an option that is well worth considering. From the ground, you gain a unique perspective of the facets of nature from an intimate viewpoint, observing things that you would normally miss from a vehicle. The heat of the day is best spent, like the animals, resting in the shade, whether you choose to lounge beside your plunge pool with a chilled drink and a pair of binoculars or enjoy an indulgent treatment at the spa. By late afternoon, though, you find yourself once more compelled to climb in the vehicle and set off into the glorious light to see what nature has in store for you. Each day is different, and no two experiences are the same, and they culminate in a thrilling night-drive back to the lodge as darkness sets in and hyenas prowl the night. 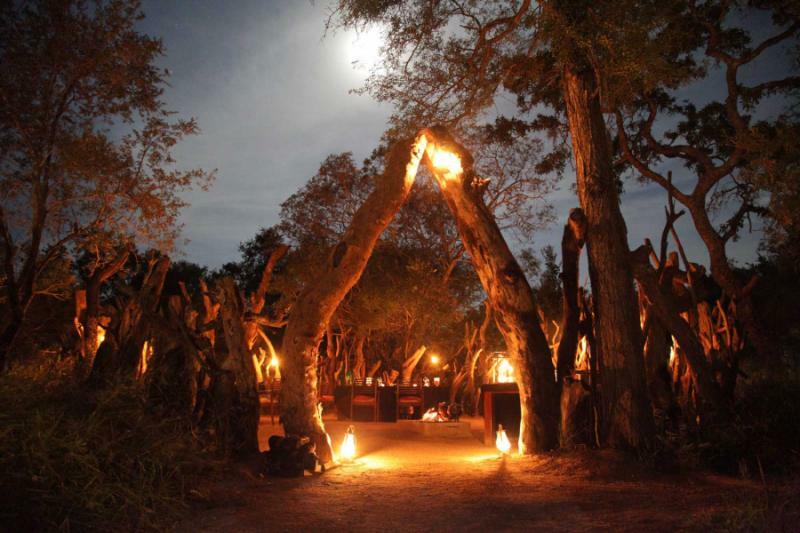 The convivial atmosphere of the lodge welcomes you into the warm circle of firelight, where anecdotes of your African adventures are shared below a glittering canopy of stars. 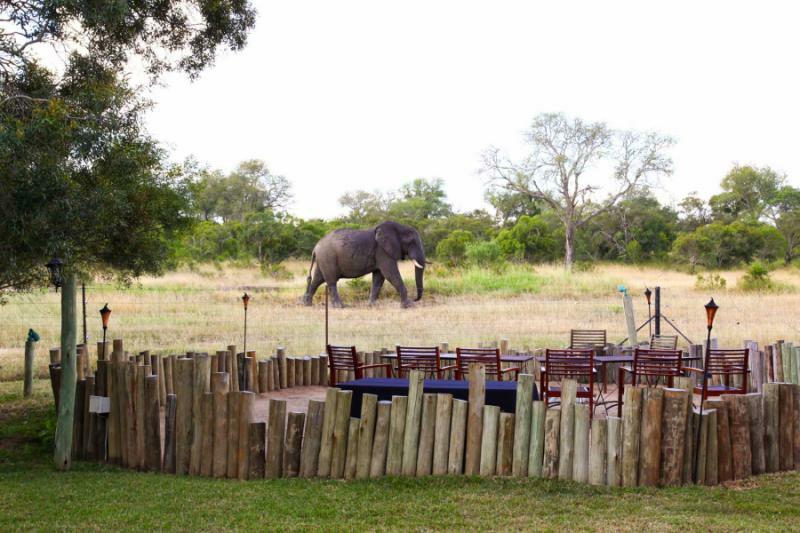 You round your evenings off with a sumptuous dining experience coupled with offerings from Londolozi’s sensational wine cellar, with candlelight and the sounds of Africa outside adding a delightful sense of romance. After your morning game drive, you will take a short flight north to the Manyeleti Game Reserve, which also borders Kruger National Park. 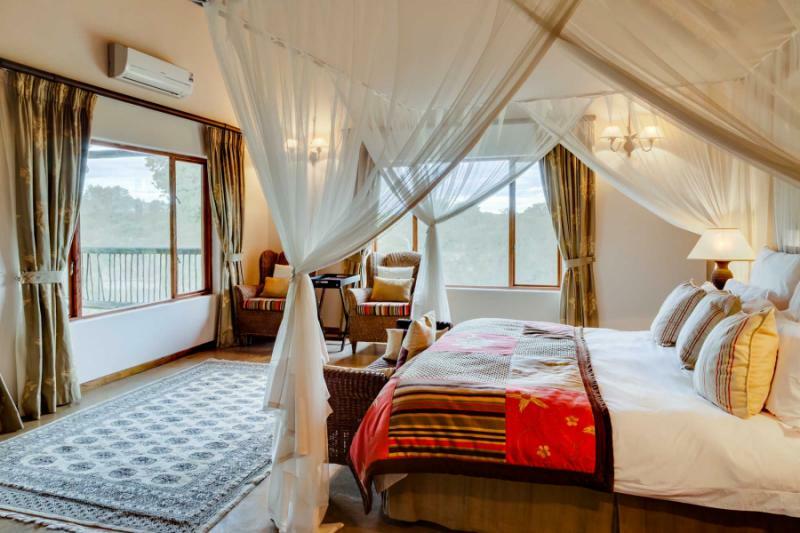 Tintswalo Lodge is similarly luxurious to your previous accommodation, and the buildings could best be described as organic in how they blend into, and complement, the surrounding landscape. Spend the next two days exploring the Manyeleti Reserve, with its many-faceted landscapes and a multitude of birds and animals. This is Big Five territory, and the chances of encountering elephants, rhinos, buffalo, leopard and lion are very high, sometimes even in the course of one day! Apart from these animals, there is so much more to see and experience, not just with your eyes, but with all of your senses. 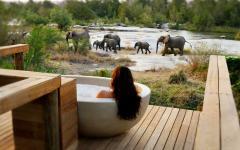 Experience the aromas of the bush, the smells of dust, earth and sage. Feel the blood-pumping thrill of watching a pack of African wild dogs on the hunt. Admire the loose-limbed majesty of a cheetah as it lounges on a mound, scanning the horizon for prey and simply feel yourself lost in the moment, reveling in the freedom and space that the African wilderness gives you. 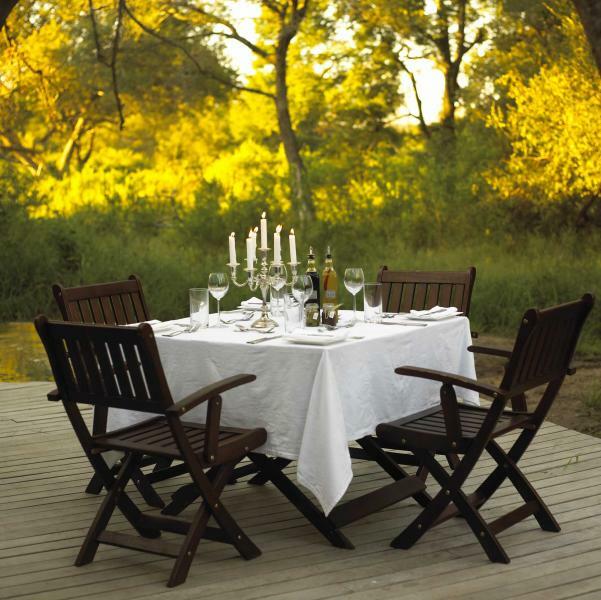 Enjoy a final morning in the bush before you reluctantly have to depart Tintswalo Lodge. 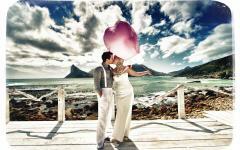 Return to the airstrip, and board your flight back to Johannesburg, where the journey comes to an end. "Every airport, every hotel, every bush camp, there was always someone there to watch out for us."